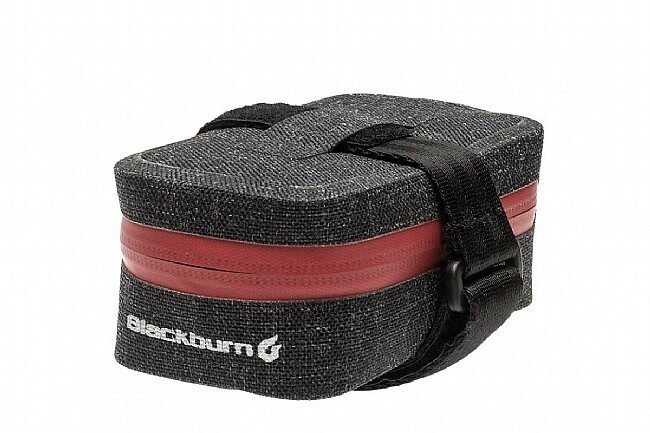 Blackburn's Barrier Micro Seat Bag is a low-profile, lightweight way to stay prepared on the road without compromising your lightness or aero profile. It's made with an abrasion-resistant waterproof material with welded seams and a weather-resistant zipper. Minimalist styling works on any bike, and hook-and-loop straps mount it to virtually any saddle and seatpost combination. 0.25 liter capacity. Claimed weight is 25 g. Features reflective accents for increased visibility.